Une bolée de cidre à Bretagne. I had lunch with Olivier the other day. Olivier is an expatriate from France, and therefore he’s occasionally useful when I want to know something about the French language or culture. 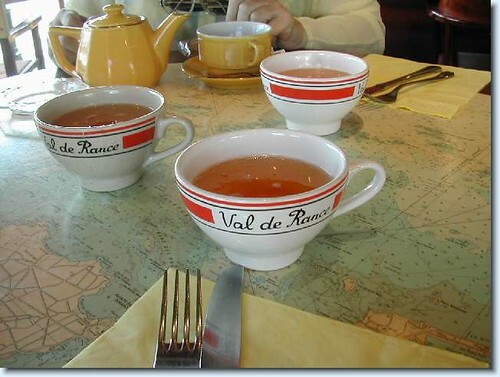 I mentioned to him that when I was in Paris, I ate at a crêperie one night, and they served cider (le cidre) in what looked like large teacups. He told me that cider is traditionally served as une bolée: a bowlful. I’ve recently discovered BBC Radio 4’s In Our Time. It’s a radio show about ideas. I listened to one of the archived shows about the Celts, and it was fascinating. I only wish it had been longer. I highly recommend listening and checking out what else the BBC has online.